Who needs tchotchkes? Eiffel tower snow globes are passe, and with open borders, passport ink is growing harder to come by. For an unforgettable souvenir, some adventurous travelers are bringing home an indelible reminder of their vacation. For them, getting inked on vacation is a new way to commemorate a trip abroad. Actress Scarlett Johansson may be the most visible, but is just one of the latest travelers to get a tattoo while abroad. Johansson added a “Lucky You” horseshoe by Paris artist Fuzi Uvtpk to her body art last fall. Elsewhere in Paris, former ad man “Sailor Roman” welcomes visitors to his apartment where he adorns “sailors, wanderlust seekers and adventure junkies” with his old-school single color art. What compels people to go under the needle while far from the comforts of home? 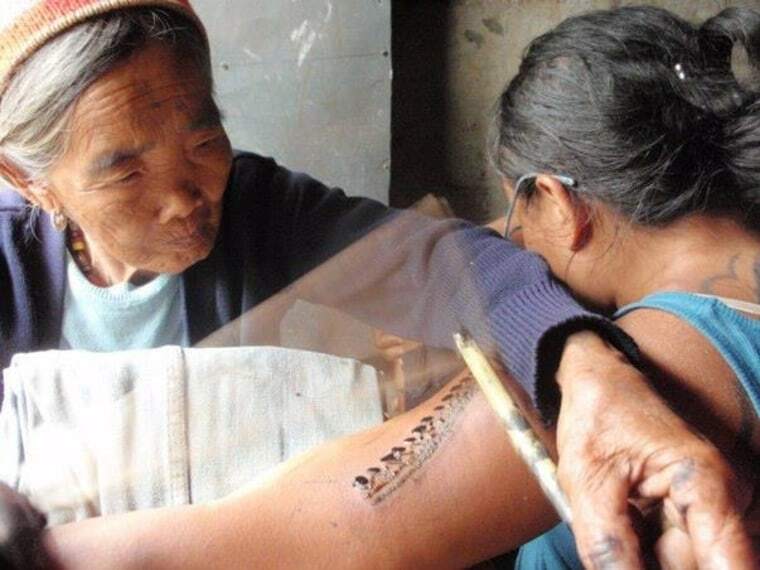 She learned about a traditional tattoo artist living in the mountains, Whang-Od, a “95-year-old woman who's been on Discovery Channel,”and embarked on a rainy season 12-hour drive from Manila and a harrowing hike into the mountains to reach the artist. “It was the middle of a typhoon, hiking Indiana Jones kind of ravines,” she said. Before choosing a tattoo artist overseas, a wise traveler will do some research. Sailor Roman —who gave himself his first tattoo in a dirty parlor on the island of Koh Chang using a traditional Thai bamboo method — says visiting international tattoo conventions for referrals is a good starting point, as is visiting the shop beforehand to evaluate its hygiene, and inspecting for essential safety measures like new needles.